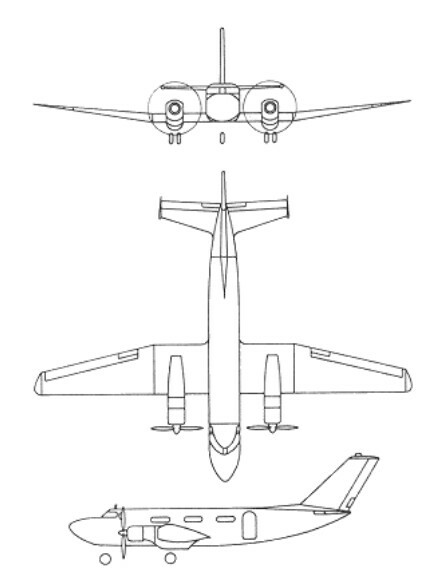 The Guarani I light transport first flew in prototype form on 6 February 1962 and utilised about 20% of the structural components of the IA.35 Huanquero. Power was provided by two 633kW Turbomeca Bastan IIIA turboprop engines. The Guarani II was developed from it and the prototype flew for the first time on 23 April 1963. It was placed in production for the Argentinian Air Force for communications, photographic (with the Military Geographic Institute) and executive transport duties, while the Navy received one as a staff transport. A total of 41 G.IIs were built.